This pair of Snowdrift Crocheted Socks will definitely make one feel cozy and pampered. Make a bunch for family and friends! In fact, this crochet pattern is an ideal project for experienced beginners and intermediate crocheters. 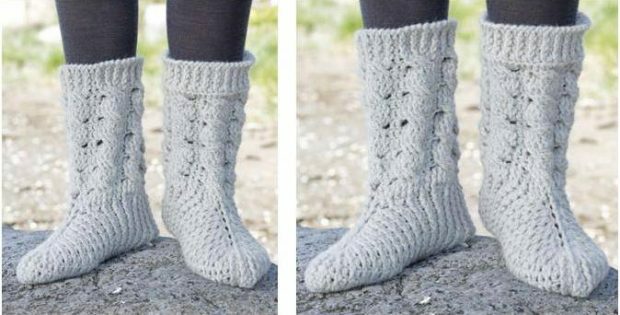 The pattern includes instructions on how to make the crocheted socks in three different sizes. In fact, you can access the FREE pattern for these awesome socks from their website.